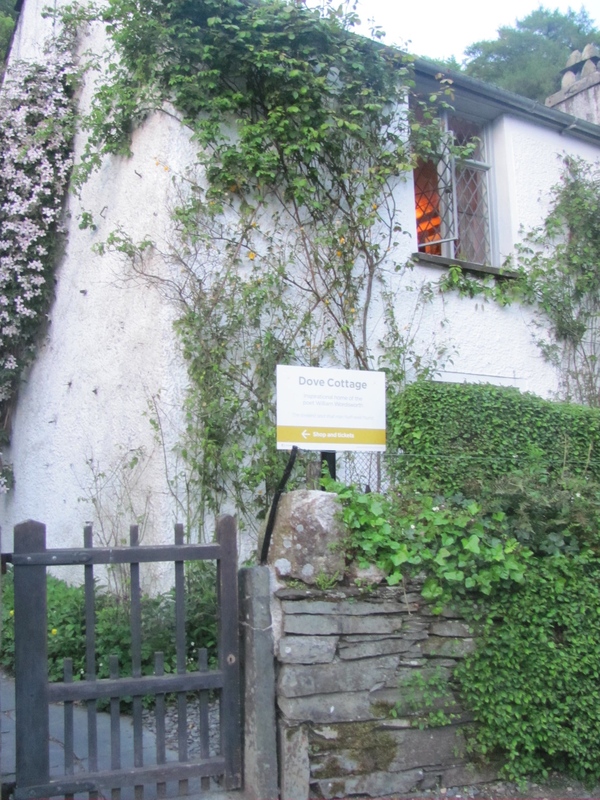 Recently as part of the Museums at Night initiative Dove Cottage Grasmere, held three evenings for a limited amount of people to experience the cottage at night as it had been when it was an inn called the Dove and Olive Bough. A welcome awaited with the sounds of the fiddle floating through the air. 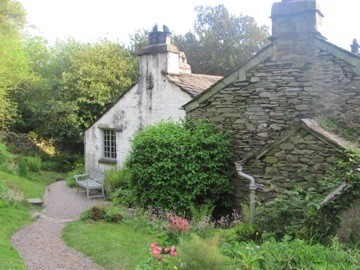 The history of the house is referred to in William’s 1806 poem The Waggoner. 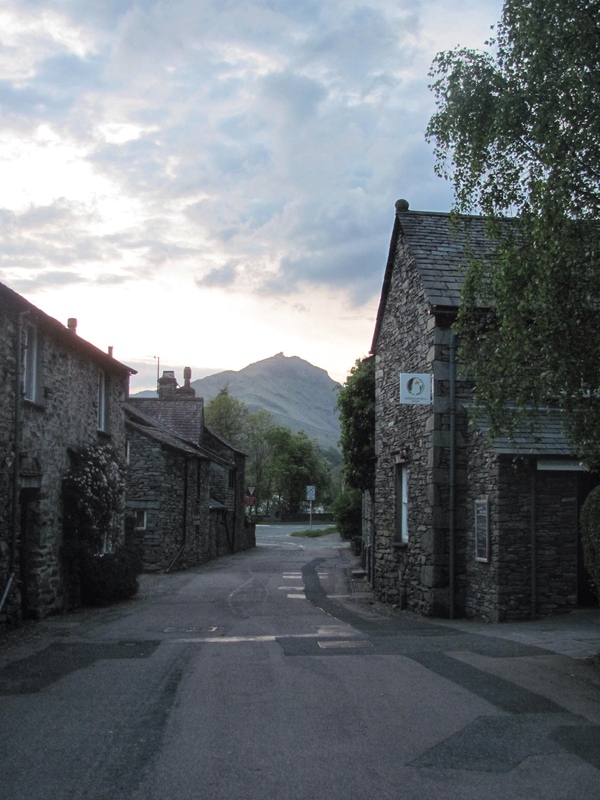 “Where once the Dove and Olive bough offered a greeting of good ale to all who entered Grasmere Vale”. And on this occasion real ale was also supplied. It was wonderful to wander around the garden, drink in hand, on a balmy summer evening. The sun was just setting on the village, and visitors had made their way home. Walking further up the garden you come to a seat overlooking the rooftops. 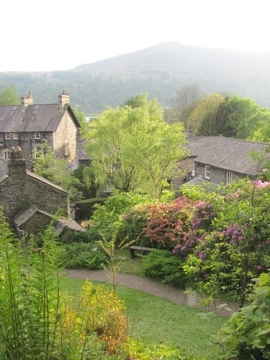 The view would have been different in Wordsworth’s day of course as Dove Cottage was built on the old turnpike road, the view would have been much more open, the lake not obscured by the buildings on the “new” road that exists now. 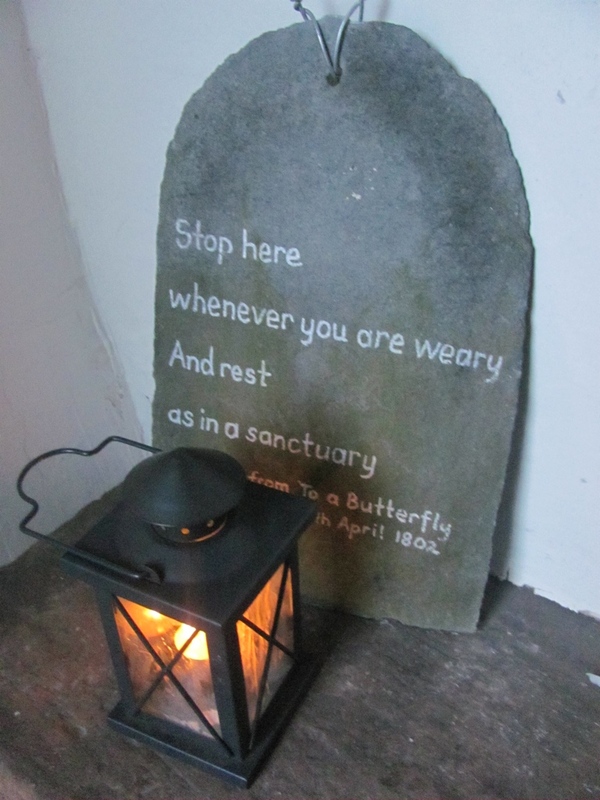 It was getting chillier so we repaired inside for some real ale poetry and prose, with a few drinking songs thrown in for good measure. To quote “The Waggoner” again we had to “leave it with a jovial heart” as time waits for no man, and neither does the 555 bus which was speeding some of our party home. A good night had by all. 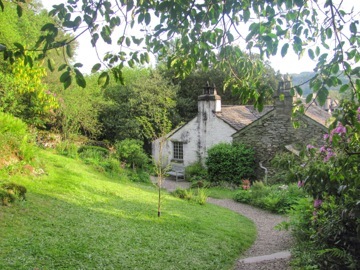 Thanks to http://wordsworth.org.uk Why not have a look and see what events are on when you next visit Grasmere Village.